The second SOS Children's Village of Bangladesh was opened in Rajshahi in December 1979, in the "International Year of the Child". 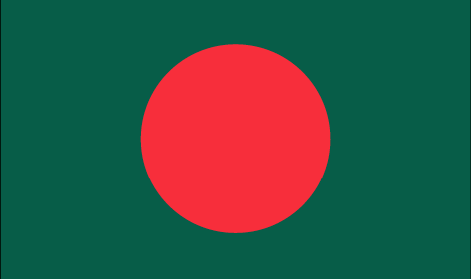 Rajshahi is located in the West of the country, close to the Indian border. The SOS Children's Village is situated in the new part of the town, near the railway station. The official inauguration took place in 1982 in the presence of Hermann Gmeiner, the former president of SOS Children's Villages. SOS Children's Village Rajshahi consists of 15 family houses, the village director's house, an aunts' (family helpers') house, an SOS Kindergarten, a communal building, an administration area and a building with a village shop and a library. An SOS Youth Facility is also part of the Village. It is the residence of the grown-up boys who are still undergoing vocational training and are preparing to become independent. In 1989, an SOS Social Centre was set up on the site of the SOS Children's Village. It offers family-strengthening programmes designed to ensure that children have access to essential services such as adequate nutrition, health services, and education while their families are taught parenting skills. Mothers and children from the neighbourhood receive medical aid and advice; sewing and embroidery classes are held for the local women, and regular vaccination programmes are carried out in co-operation with the local authorities. The SOS Children's Village has been very successful in growing tropical fruit, such as mangoes, which is mainly due to the very long and hot summers.